I love technology as I say all the time, especially futuristic or spy-looking stuff. 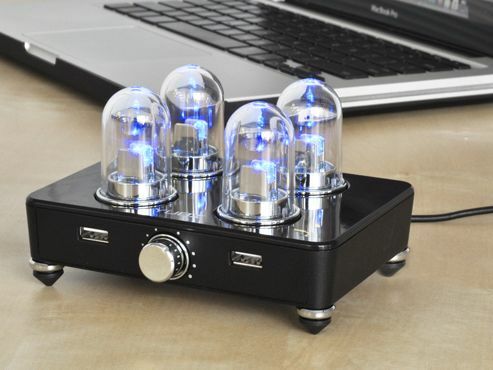 The Classic Tube Speakers made by Yubz are totally inexpensive and are the coolest-looking ones I’ve found so far. 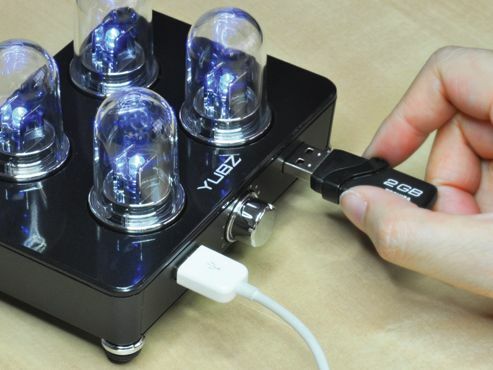 The bulbs light up to match the beat of whatever song you’re playing through your Mac or PC. 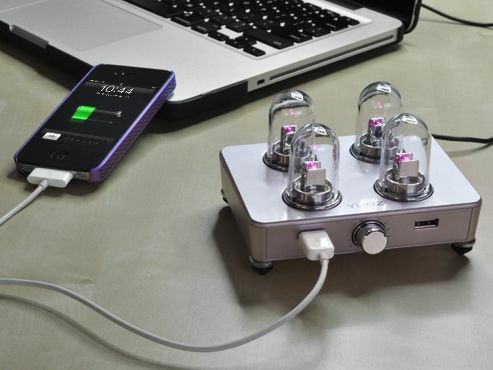 Comes complete with two extra USB ports. Sidenote: Even though it seems pretty portable, be careful. Wouldn’t wanna’ shatter those cute little bulbs. 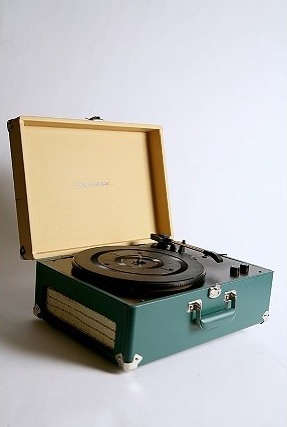 This vintage-looking USB turntable would be awesome just as apartment room decor. Perfect for the Deejay hoarder or even a gift for your mom, provided you can find somn’ to go on the turntable. Again. Who still has records? I gotta stop posting these things. I can’t help it. I LIKE ’em. Urban Outfitters is where ya’ get it. At one point, I wanted to be a DJ. I guess I didn’t know learning to scratch was such hard work. Go figure. That ship has sailed… and sunk (sink, sank, sunk?) lol. Nevertheless, I wouldn’t be surprised to see myself at home in an apartment full of turntables just for decoration. Kind of how I like to think of my imaginary wine collection: there just for the feel, ya’ know, decor’s sake. Quick question, though: who still has vinyl, anyway? 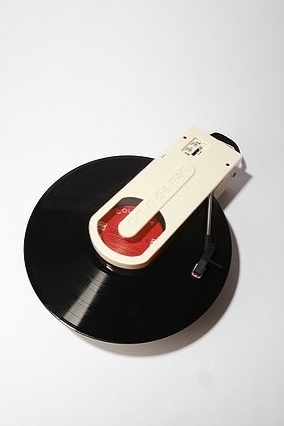 You can get this one-armed record player at Urban Outfitters.com.